Throughout 2016 one of the biggest topics of conversation in Star Wars fandom surrounded the massive reshoots that were ordered for Rogue One: A Star Wars Story after the first cut of the film was screened for Disney executives. There was panic in some circles, while others tried to make the case that this was something that happened on every movie. It was eventually revealed that Tony Gilroy, director of Michael Clayton and The Bourne Legacy, was brought in to oversee the reshoots with some claiming that he had more-or-less taken over for director Gareth Edwards. Gilroy, who was eventually credited as co-screenwriter on the film, has not spoken much about his Sar Wars experience. He finally addressed it in a recent interview on the podcast The Moment With Brian Koppelman, revealing he spent nine months working on the film. Gilroy described to Koppelman the state of the film when he was brought in, saying, "I came in after the director's cut. (...) they were in such a swamp, they were in so much terrible, terrible trouble that all you could do was improve their position." "If you look at Rogue, all the difficulty with Rogue, all the confusion of it … and all the mess, and in the end when you get in there, it's actually very, very simple to solve. Because you sort of go, 'This is a movie where, folks, just look. Everyone is going to die.' So it's a movie about sacrifice." As for the possibility of Gilroy helming a Star Wars moving from start to finish, it doesn't sound like that's something he's interested in. Gilroy said, "I've never been interested in Star Wars, ever." He later added that, "I don't think Rogue really is a Star Wars movie in many ways. To me, it's a Battle of Britain movie." Even though he downplayed his interest in making another Star Wars film, he spoke positively about the experience, saying he had "a great time" working on the film, adding, "I was so happy to be engaged. My endorphins were firing. I was happy with what I was doing in front of me." The Rogue One reshoots focused on the first and third acts, with several scenes added to flesh out the characters and to streamline the climax. Gilroy praised the teams at Lucasfilm and Disney for their willingness to take the steps necessary to improve the film. He said, "The gumption, the balls, of Disney and Bob Iger, and the people there to gamble on what they gambled on is astonishing." It certainly is interesting to hear Gilroy's perspective on this. When word about the reshoots got out, there was a split in the two main types of reactions. One was all out panic over the state of the film and Lucasfilm in general. And the other was to say that reshoots are a part of the process on every film. While it's true that reshoots happen on every film, and things don't sound like things were quite as bad as they were on Solo, it certainly sounds like what happened on Rogue One was anything but typical. Fortunately the film was a massive success both critically and at the box office and Lucasfilm was able to avoid a potential embarrassment. It does also raise the question, again, of what happened with the first cut of Rogue One and why it was in such bad shape that someone else needed to come in and, essentially, save the film. In some ways, the Rogue One reshoots were a sign of things to come. While production on The Last Jedi went off without a hitch, both Solo and Episode IX have also had trouble behind the scenes. First Phil Lord and Chris Miller had to be replaced on Solo by Ron Howard, and then JJ Abrams was brought back in to replace Colin Trevorrow on Episode IX. All of this raises the larger question about the hiring process at Lucasfilm and why there keep being these issues. With the next era of Star Wars films (post-Episode IX), it seems that Lucasfilm has is trying to combat this by hiring more established names to oversee multiple films. The smoothness of The Last Jedi's production led to Rian Johnson being given a trilogy of films to create. And, when Game of Thrones producers David Benioff and DB Weiss were brought in to write and produce a series of new films, some speculated that their hiring was due in part to their ability to manage large productions successfully. And there's Jon Favreau, whose experience working on large scale projects for Disney and Marvel (The Jungle Book, Iron Man) likely factored in to him being selected to write and executive produce the live action series. 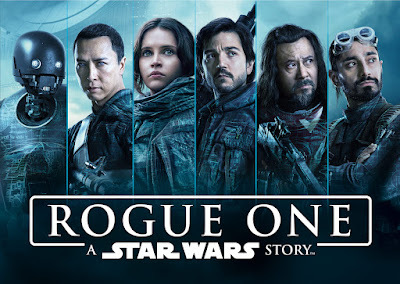 While it is concerning that some the situations, like Rogue One, came so close to being a disater, it is worth keeping in mind what Gilroy said about Bob Iger and Kathleen Kennedy's (and everyone at Disney and Lucasfilm) willingness to do what must be done to get the films done right. We've seen this time and time again with Gilroy, Howard, and Abrams, and you can bet that they will continue to do so, if need be.